Manhattan Creamery likes to embrace the whimsical side of everything. We want our shop to be fun, and above all, for customers to enjoy the opportunity to indulge in our sweet treats. That experience represents a vote of confidence not only in our products but in our community here in Manhattan Beach. We hail from a long family of baking artisans. In fact, we partner with our legacy baking business, Katella Bakery, in producing our award-winning Cream’wich, which is now distributed across the U.S.
What’s not so sweet is that throughout the entire history of our family’s baking business, it has been subject to a government subsidy program that inflates the price of a pretty important ingredient to bakers – sugar. Yes, believe it or not, the federal government has been subsidizing the sugar industry for over 80 years, long before Katella Bakery was established in 1964 in Los Alamitos. What does this program do? The U.S. Sugar Program is a backstop for sugar growers in the U.S., ensuring them profits by distorting the market for sugar, restricting imports of sugar from other countries, and forcing domestic users – confectioners, bakers, and food manufacturers – to purchase U.S.-grown sugar, only. As a result, the price of U.S. sugar is inflated. We know this because today, the price of sugar on the world market is 50 percent cheaper than it is here. The word “fairness” gets thrown around a lot. 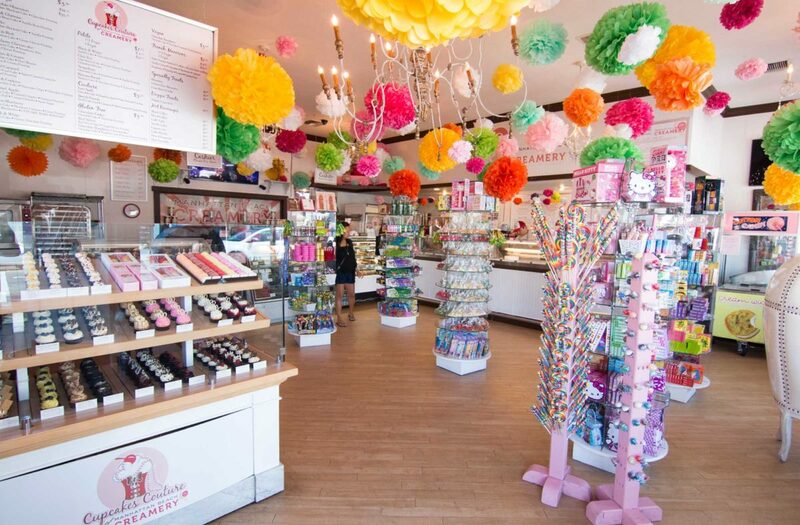 We are blessed and so fortunate to have grown this business in Manhattan Beach, and we are poised for more growth through your love of our products and our commitment to you to provide the best treats possible. However, when I learned that the sugar subsidy program costs American consumers and businesses nearly $4 billion annually in added food costs, while billionaires in the sugar processing industry are granted government subsidies, I was shocked. There is hope, though. Over the years, confectioners and bakers and hundreds of other groups have banded together to fight this subsidy program. In the coming year, Congress is working on the Farm Bill, the principle policy that governs all crop programs in our country. This is where we have a chance to reform this program, and hopefully lower the price of sugar for all neighborhood bakers. Moreover, several bipartisan leaders in the Congress, led by Sen. Dianne Feinstein, have introduced the Sugar Policy Modernization Act. Ahead of the Farm Bill debate this year, these elected officials are leading the charge. I commend Senator Feinstein and I urge our local lawmakers to step forward and support the push for sugar reform. This is a bipartisan, common-sense issue to support local bakers and confectioners who are iconic to our region, so we can all continue to invest in our operations, employees, and the community-at-large. Margarita Rodriguez is the manager of Manhattan Beach Creamery.